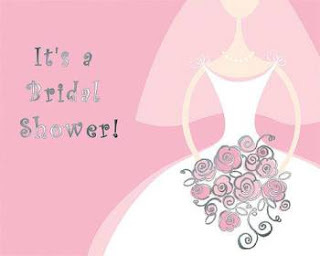 I am planning a bridal shower for my big sis - who is getting married in March. I am thrilled and honored to put together an afternoon of friends, food and fun for the ladies and bride-to-be. The only catch is that she in in Indianapolis and I am in New York City. But, we all know that with today's technology there is really no red tape in the way. So, I wanted to share not only some shower-planning tips and ideas, but also some helpful ways to work across state lines when planning special events. Shower Planning Tip #1 - Choose a theme and then a venue, this makes it easier to pinpoint what locations will work and which ones won't. Shower Planning Tip #2 - Think outside of the box when it comes to games, research ideas from celebrity planners like Mindy Weiss and David Tutera. Shower Planning Tip #3 - Always keep the bride in mind and don't always choose decor, food, etc. based on what you want - after all, you are the host, not the guest of honor. Shower Planning Tip #4 - Always have back up plans. Just as much as this is true for the wedding day itself, you always want to have a gracious plan "B" in case something goes sideways during the shower. Shower Planning Tip #5 - Know the etiquette, but don't overdo it. Understand what the "norm" is but also understand that things have changed and many bridal showers are now much less formal and you have a tad more leeway than many books tell you. Just keep that in mind - but don't go too far over the line. Shower Planning Tip #6 - Make sure you take care of your one duty on the day of the shower - making everyone feel comfortable. This means talking to those you don't know, introducing guests to each other, and making sure all is moving along as planned. Wearing several hats at once, and doing it smoothly, will make you a superstar host. Distance Planning Tip #1 - Use the internet wisely and read reviews. Since you will likely not be able to meet face-to-face with vendors, it is vital that you read reviews because there are honestly folks still in business who should be shut-down for the customer service issues they are known for. Distance Planning Tip #2 - Ship event materials right to the site or other contact in the area. Once you arrive they will be waiting for your special touch, and you won't have to travel with them. Distance Planning Tip #3 - Without the internet, it would be terribly difficult to do any long distance event planning. So, just as check reviews, use the internet to find back-up plan vendors in the area. This might end up being your lifeline. Here are some great Shower Planning websites - happy planning!